Round Rock ISD’s McNeil High School in Austin, TX. 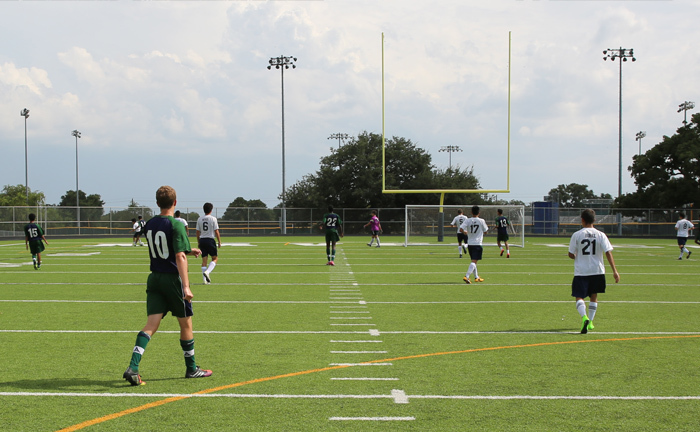 Matrix® Turf for Multi-Purpose Sports is a natural-looking artificial sports turf surface for a wide group of athletes to enjoy that is consistent for football, soccer, lacrosse, field hockey, and rugby. Many community facilities, schools, and municipalities have the need to support multiple sporting and recreational needs but have limited space. Our sports turf is designed, tested, and proven to withstand heavy use, making it ideal for increased utilization. Artificial turf fields also reduces maintenance costs and water consumption considerably. Matrix Turf for Multi-Purpose Sports is available in many color options, making it convenient and easy to distinguish the multiple field markings for each sport. 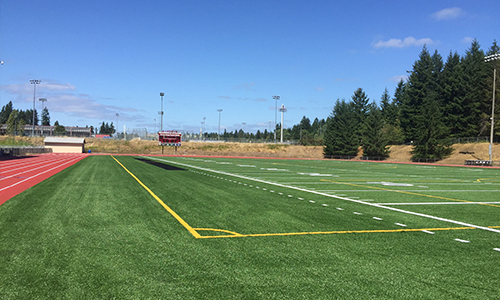 Multi-purpose synthetic turf field at Central Kitsap School District’s Silverdale Stadium in Silverdale, WA.